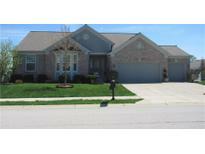 Find Brownsburg, IN Homes for sale. View Photos, Maps and MLS Data Now! Oaks At Windridge - Photos shown may be an artist rendering, model home, or of same model. MLS#21635889. CENTURY 21 Scheetz. ft. attached garage features an enclosed work area. Your search ends here! MLS#21635915. Carpenter, REALTORS®. Seller has paid attention to the most intricate details when building home. MLS#21635593. RE/MAX Ability Plus. Neighborhood amenities: Pool, Tennis, Playground &More! MLS#21635980. RE/MAX Advanced Realty. Lake Ridge - MLS#21635958. Community Real Estate Group. A new back deck adorns the back of the house with custom built railing. MLS#21635346. Homewise Realty LLC. Mature Landscaping Is Just Another Plus For This Home! MLS#21636161. Sold It Realty Group. Highland Springs - Fantastic home, location, schools and neighborhood! MLS#21635417. CENTURY 21 Scheetz. Plenty of space in the 3 car garage with storage cabinets and shop area. MLS#21635434. United Real Estate Indpls. At this price, it won’t last long! MLS#21631568. F.C. Tucker Company. Green Street Village - Easy Access To 74 & Within Walking Distance To Movie theater & Dining. MLS#21635777. F.C. Tucker Company. A concrete pad put in so you never have to back out of your driveway. Minutes away from town! MLS#21631642. RE/MAX Centerstone. Meadows At Eagle Crossing - Residents of Eagle Crossing enjoy over 50 acres of common area, including walking trails, two pools and picnic shelters, five playgrounds, outdoor fitness, a meditation chapel, volleyball and soccer fields! MLS#21634918. Pursuit Realty, LLC. 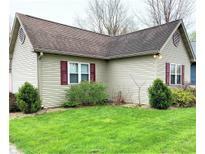 Prairie Village - Super cute and will not last long in this market! ! MLS#21635555. Bowman & Associates, LLC. Brownswood Estates - All brick wrapped with hip roof for very little maintenance on exterior. Security system installed and active. MLS#21635247. Carpenter, REALTORS®. Pleasant Vue - All this and a pole barn, too! MLS#21635240. Carpenter, REALTORS®. Green Hills Estates - Great room has a beautiful fireplace with vaulted ceilings. Schedule a showing today. MLS#21635268. Complete Real Estate Solutions. 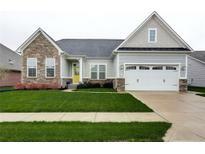 Northfield At Wynn Farms - Come check out this amazing home in Brownsburg today! MLS#21635159. eXp Realty, LLC. Green Street Village - Terrific Private Master Suite & 4 Other bedrooms. Fabulous Location - Great Neighborhood! MLS#21635218. F.C. Tucker Company. Creekside Commons - Bring your buyers buy, you don't want to miss this one. MLS#21634940. F.C. Tucker Company. Whittington Estates - Main level Master Bedroom with walk-in closet and full bathroom! New paint through-out! MLS#21634855. F.C. Tucker Company. Photos shown may be an artist rendering, model home, or of the same model. MLS#21633728. CENTURY 21 Scheetz. Photos shown may be an artist rendering, model home, or of the same model. MLS#21633731. CENTURY 21 Scheetz. Photos shown may be artist rendering, model home, or of same model. MLS#21633724. CENTURY 21 Scheetz. Photos shown may be an artist rendering, model home, or of the same model. MLS#21633735. CENTURY 21 Scheetz.